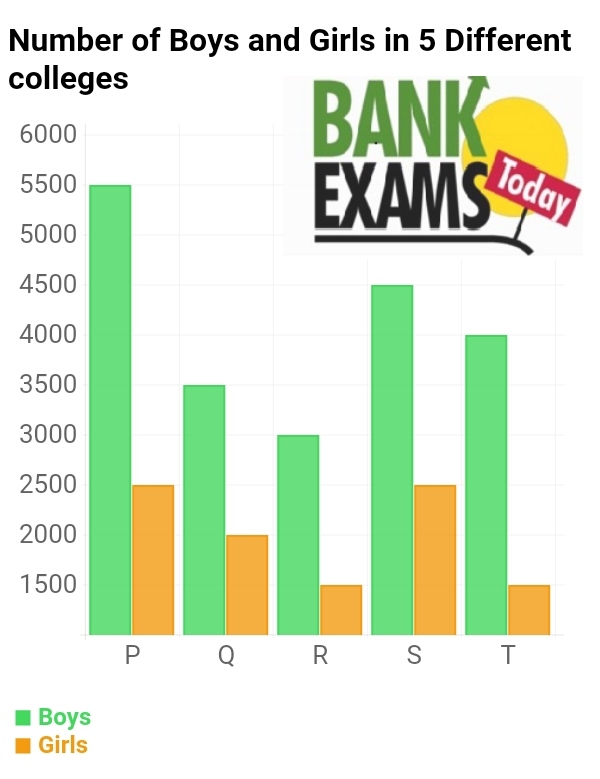 Study the following Bar chart and Answers the questions given below. 1. What is respective ratio between Girls in T school and total number of students in School Q ? 2. 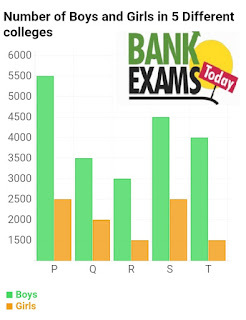 Number of boys in college S forms approximately what percent of number of boys in college Q ? 3. What is the average number of boys from all the colleges together ? 4. If 100 students increased in every school , find the ratio between Girls and boys ratio after increasing in School P ? 5. Find the ratio between total number of girls in P, Q and R to total number of boys in R , S and T ? 100 students increased . But here not mentioned number of girls and boys in the number of 100 students.